Howell Builders turns the visions of clients, as interpreted through the skill of architects and designers, into solid reality, with lines that are crisp and true, corners precisely finished and curves gracefully balanced. Crafting a house, and not just assembling one, takes time and scrupulous attention to every specification. It means limiting projects to just two or three a year in order to listen to each client and shape the sort of house that will continue to satisfy over a lifetime. It means building a mutual bond of pride and responsibility. Howell Builders is ready to serve people who share its respect for craftsmanship and its belief that faithfulness in every detail makes a home uniquely beautiful and truly livable. Aldrich Incorporated is a custom home building firm serving Charleston's Sea Islands with quality, skill, and attention to detail for over 20 years. Trust, talent, communication, follow through. It's what you want from your builder, and what each and every client gets from Rick Aldrich. When you combine Old Southern charm with cutting-edge innovation, you get a home that's worthy of a family's legacy... and your dreams.That's where we come in. The Twelve Oaks Group was founded on ideals that span over three generations of custom home building excellence. Over the years, we have assembled a professional team that possesses the tools, skills and innovation to make your dream home a reality. Custom Home Builder. General Contractor. Father and Husband. Avid outdoorsman. Southern gentleman. Straight shooter. The Marler Company owner, Reif Marler is all these things and so much more. Work with Reif and the team at The Marler Company, and you will immediately recognize a difference. Reif and his team are committed to making the process of building a custom home a pleasure—and, dare we say, fun—for his clients. A man of integrity and honesty, Reif wears his passion for excellence on his sleeve. He has a commitment to service. And finds joy in a job well done. Where did he develop his unique approach? A native of Central Kentucky, Reif honed his construction and management skills with a degree in Landscape Architecture at the University of Kentucky. In the ‘90s, Reif came to the Hilton Head Island-Bluffton area to work with one of the region’s premier commercial construction companies. During that time, he had the opportunity to build a number of prestigious clubs and amenities, including the Riverhouse at Spring Island, the Golf Club at Palmetto Bluff, and the Fitness Center at Oldfield. Later he went on to build many custom homes in places such as Belfair, Oldfield and Spring Island. As he matured in the construction industry, Reif was named Vice President for Construction for residential developer creating communities in South Carolina, Georgia and North Carolina. In 2009, The Marler Company was founded. 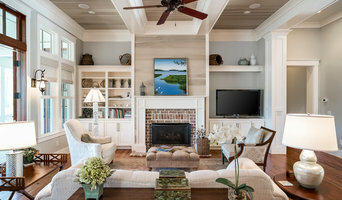 Since then, The Marler Company has built and remodeled homes in some of Bluffton, Okatie and Hilton Head’s most prestigious communities while earning a reputation as a leader in the Custom Home Builder community. Residential, Multi-Family and Commercial Renovations and Remodels. W Construction Services has been servicing Hilton Head Island since 2005. Owned and operated by John Watts, island resident since 1990. WCS focuses primarily on interior renovations, covering all scopes of work. Specializing in custom new construction and remodeling in the Beaufort area, Live Oak Builders is a well-respected company in the Lowcountry. 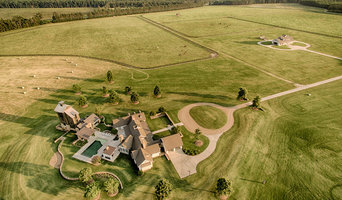 Owner, Todd Bradley, a licensed residential builder, has overseen the construction of hundreds of homes and has earned a reputation for building high quality homes and remodeling projects that fit any budget. Todd has worked as a builder in Beaufort for over 15 years. He established Live Oak Builders in 2009. The philosophy of Live Oak Builders is focused on delivering a quality, custom home through the use of competitive building, an in-house design and selection team, and a promise for 100% client satisfaction. For more than 20 years, Bunting Construction Company has built a solid reputation of building finely crafted homes that reflect the needs and personalities of each and every client turned friend. We build these friendships with our clients by listening and going above and beyond their expectations. We offer a unique hybrid Design/Bid/Build process. By being involved in the planning stages of your design with the architect and interior designer we can meet your needs and expectations while working within your desired budget. With state of the art virtual planning analysis, we will virtually build your new home before the building starts. This enables us to foresee any problems that could possibly arise and prevent them. This saves both both time and money! Our unique approach to building your custom home ensures that the entire process of building your luxury dream home is not only streamlined but an enjoyable process. Our team specializes in providing our clients with full end to end construction services ranging from remodeling to complete custom home building services. We are your full service team from the original construction project designs and concepts through Computer Aided Designs (CAD Plans), architectural drafting through the entire construction or building permitting process and Architectural review board approvals. Our reputation is built on quality and our commitment to delivering on our promises everyday. We have been serving the Hilton Head community since 1994 and we are thankful to our clients for their faith and trust in us. We are committed to earning that trust everyday on every project. The Strong Group is a third generation commercial general contracting firm founded in 1952 by Walter Strong, Sr. as the Walter H. Strong Company. Over the generations, the company's services have expanded to include construction management and award-winning residential construction. The trade name "The Strong Group" was adopted in 2009 to better reflect the new partnership between these construction services. Since the company's inception, the firm has always maintained a superior reputation of integrity, quality and value in the industry. Custom Construction, Renovation, Remodeling, and Cabinetry for over 40 years. General, or construction contractors, are often known as project managers. They oversee the entire remodeling or new home construction project and facilitate all day-to-day tasks that move it toward completion. A Bluffton general building contractor will work with your architect to review plan as you build a house and ensure everything is in place before work is started as well as arrange for permits and necessary inspections. While good local home improvement contractors in Bluffton will have the skills to handle certain tasks onsite, such as carpentry, he or she is also responsible for hiring subcontractors for the majority of jobs, such as electrical work, painting or plumbing. In addition, the general contractor should be on-site regularly to inspect the progress and resolve issues. Here are some related professionals and vendors to complement the work of general contractors: Architects & Building Designers, Interior Designers & Decorators, Landscape Architects & Landscape Designers, Kitchen & Bath Designers, Specialty Contractors. Home remodeling contractors are a must for successful completion of a renovation. Because of this, it's essential that you do your homework before deciding on the right general contractor in Bluffton as you remodel or build a house. Inspect bids carefully. Was it ready when the contractor promised it? Was the bid for building a home unusually high or low? Each of these things can be very telling: A late bid may reflect timing standards, and an off-the-mark bid could be code for a pricey premium or a deliberate underbid to score the remodeling job. You should call references, carefully read reviews and visit completed projects in Bluffton, SC to see if they’re what you expect for your job. Once you do secure your local Bluffton contractors, read the contract very carefully to be sure everyone is on the same page. Find a Bluffton contractor on Houzz. Narrow your search in the Professionals section of the website to Bluffton, SC home contractors. You can also search for photos in Bluffton, SC and contact the Bluffton general contractor who worked on the project.